Have a wonderful time in the New Year. 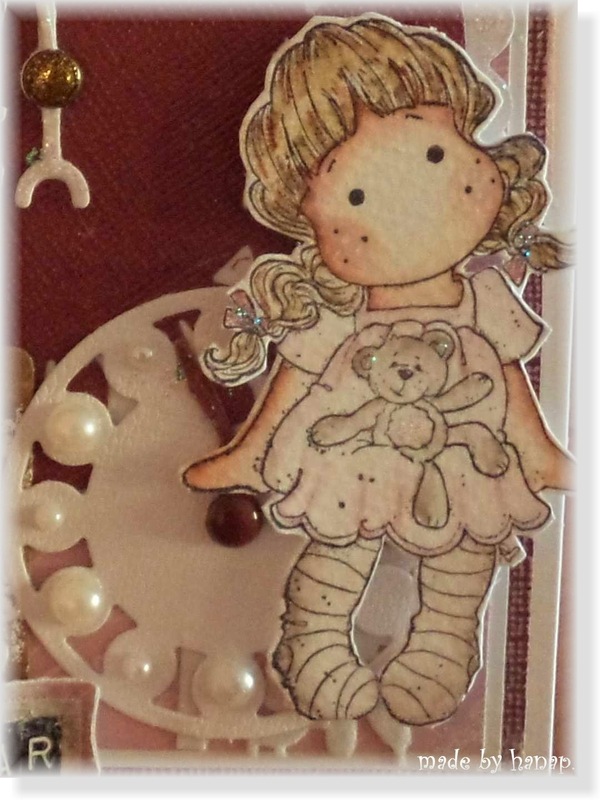 I enjoyed the Christmas time making some new cards. and Sitting Tilda with Teddy Bear. I water coloured them with Distress Inks. 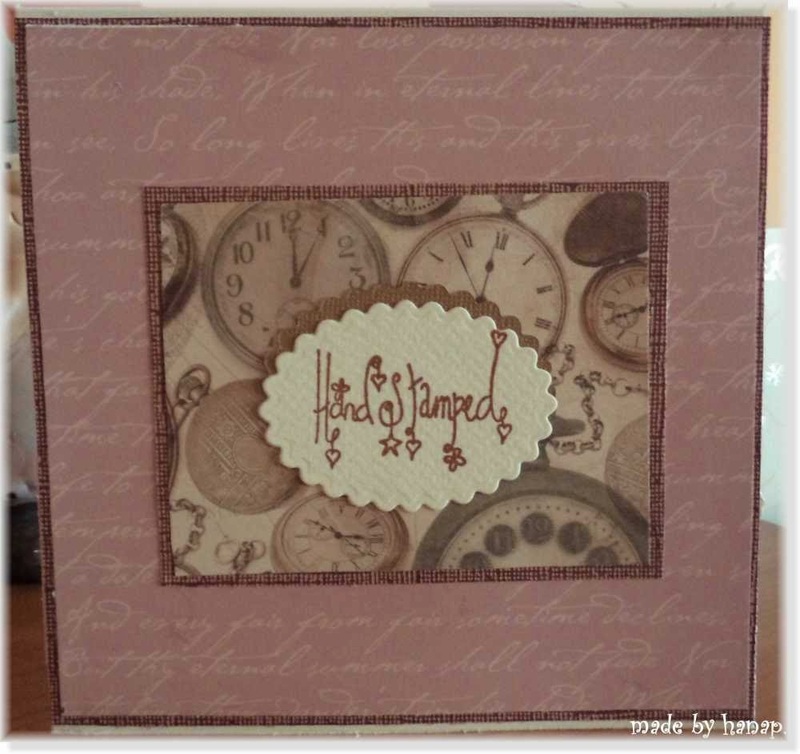 The clock is made with a die cut Craftables from Marriane design col. Very nice card. I wish you a happy new year. Love the embelishment that you used. 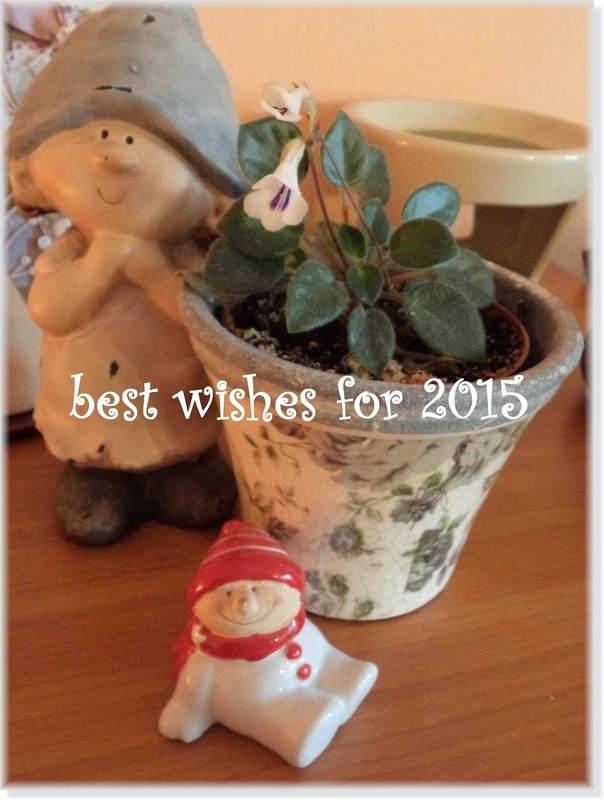 Thank you for joining us at Tilda's Town and have a happy new year. This is really beautiful. I love the hearts and clocks theme you have to ring in the new year. Thank you for sharing it with us at the Tilda's Town Challenges. I hope to see more of your wonderful work in next week's challenge too. Have a great day!